Southwark Town Hall has played an important role in Camberwell and the wider South London area for several years. 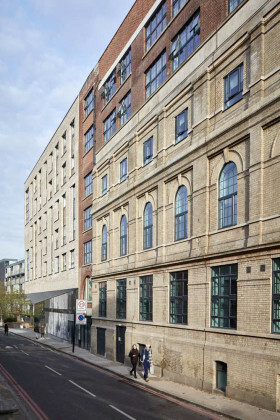 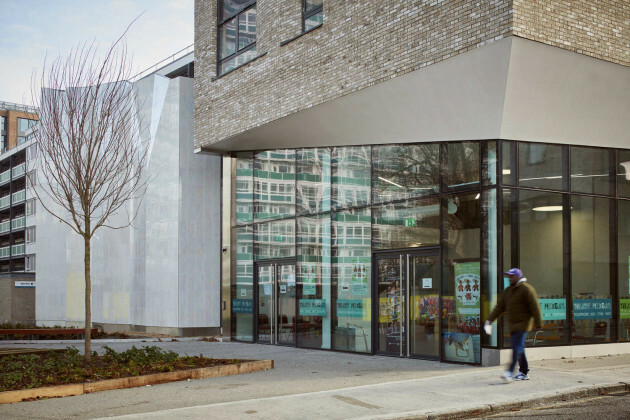 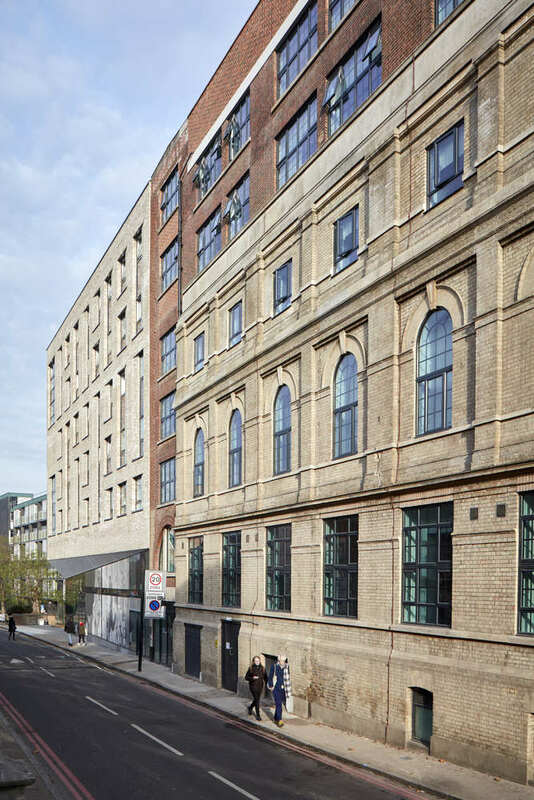 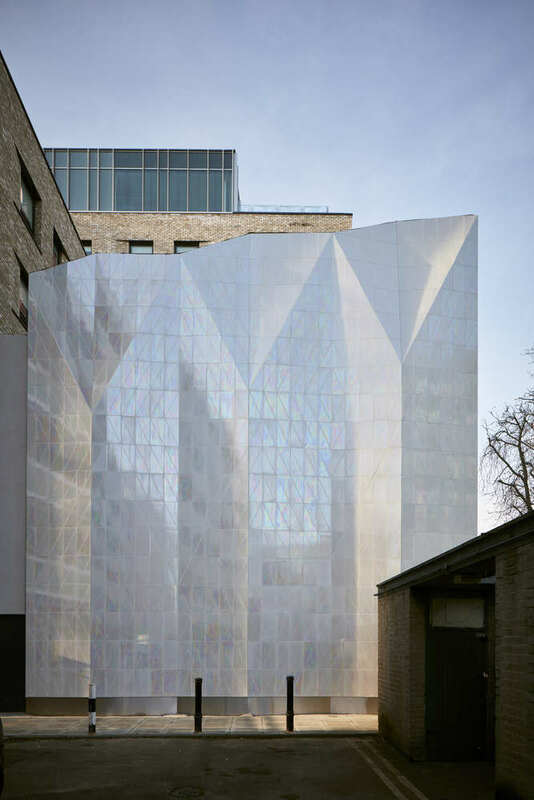 Jestico + Whiles’ scheme preserves the character of the building and is aimed at regenerating the site as a creative arts hub and community theater, serving as a mixed-use arts based building with accommodation for Goldsmiths College students and the new Theater Peckham. 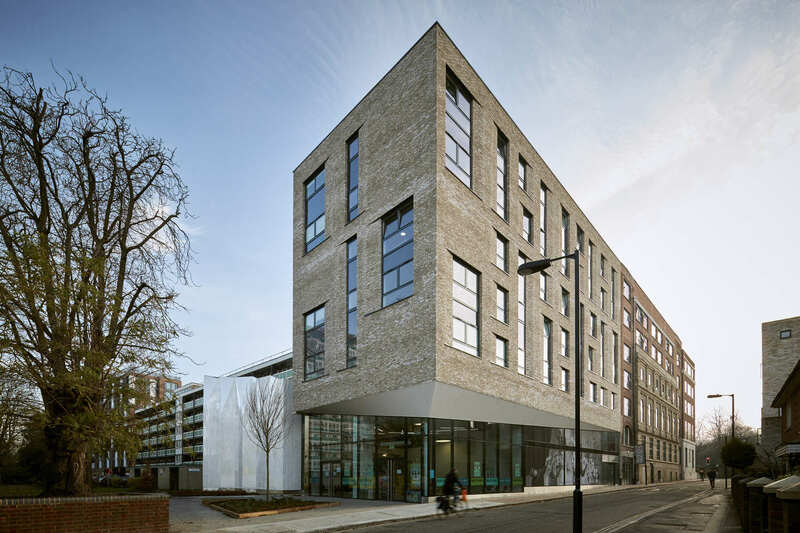 The student accommodation has 166 rooms, private student gardens and generous common spaces and lounges. 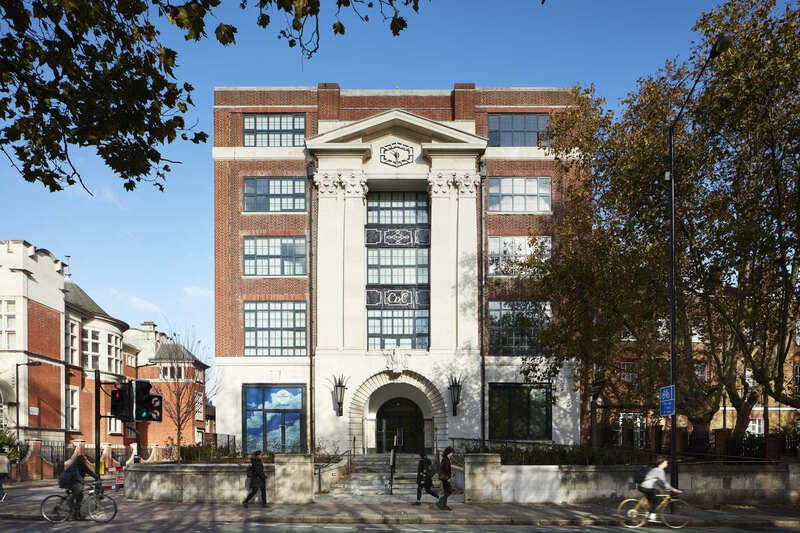 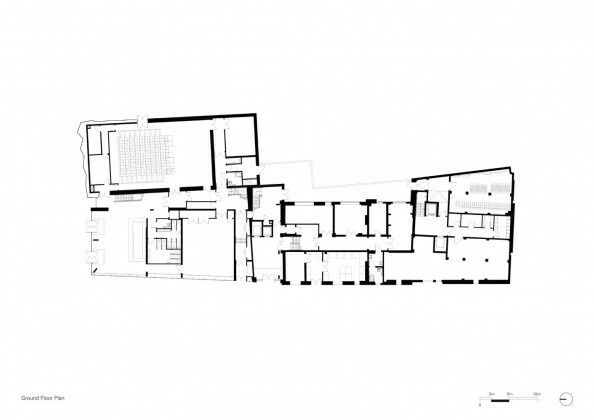 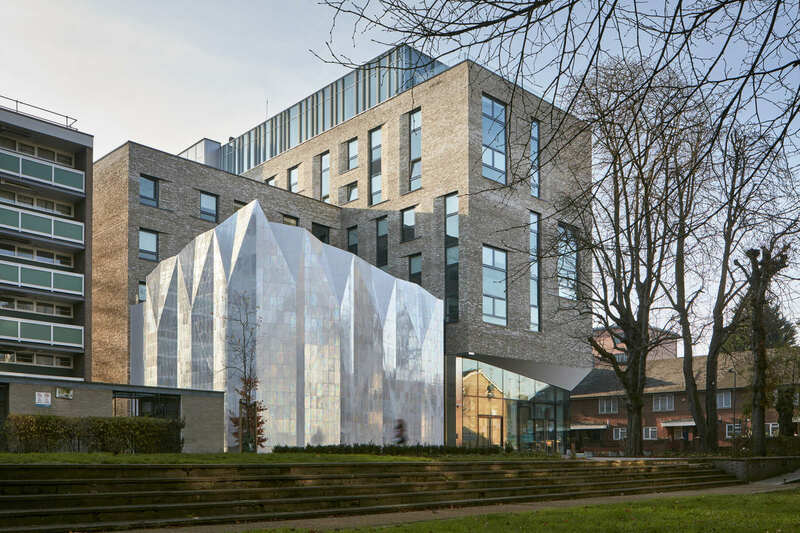 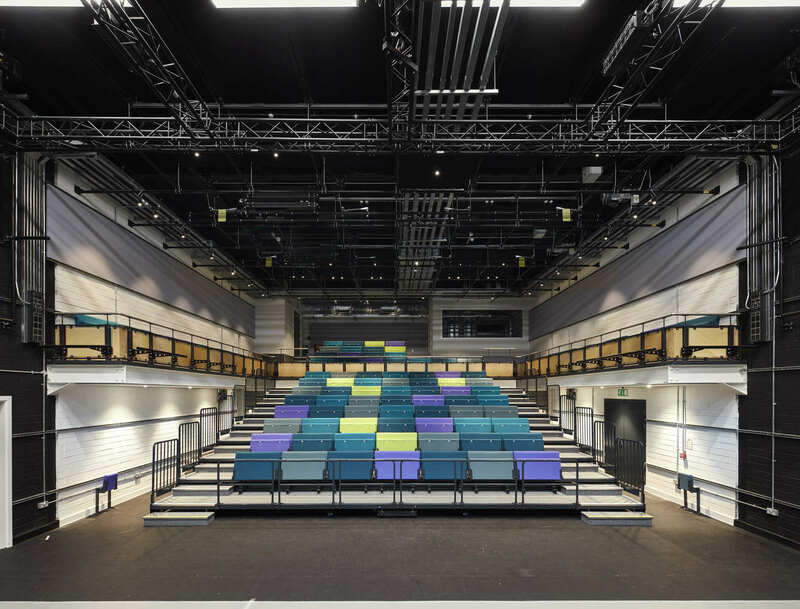 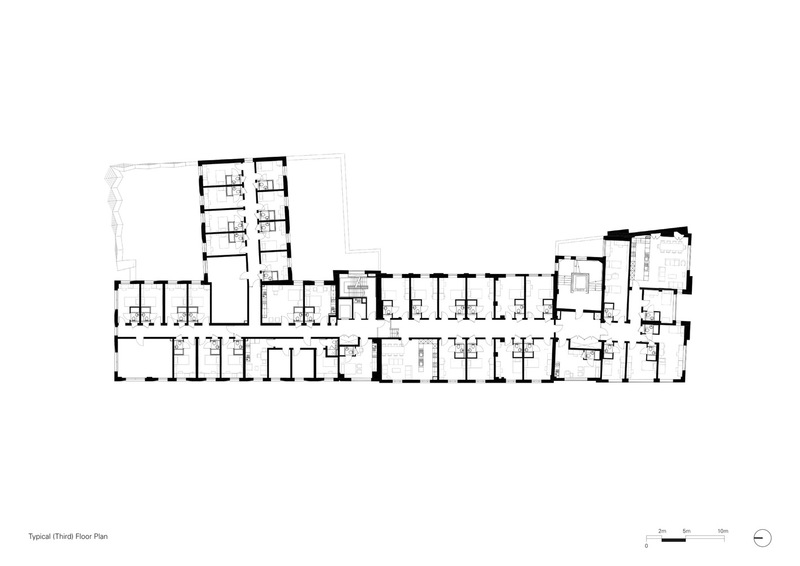 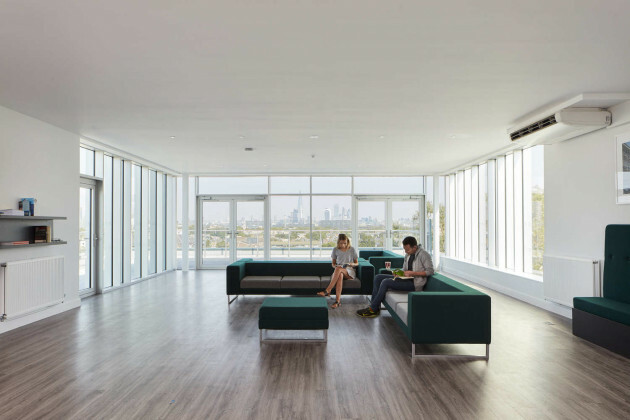 It has been designed to support a high level of community usage – including twelve self-contained artists’ studios, an independently managed gallery space and a café, as well as a contemporary sky lounge which provides social space for students and gallery space for artist exhibitions. 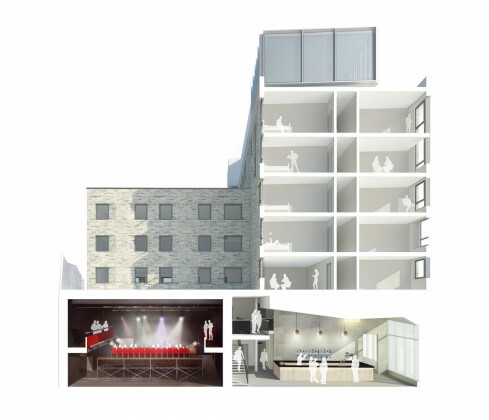 The proposals included the demolition and re-provision of Theater Peckham, a community theater which has operated for more than two decades and whose alumni includes the actor and new star of the Star Wars franchise, John Boyega. 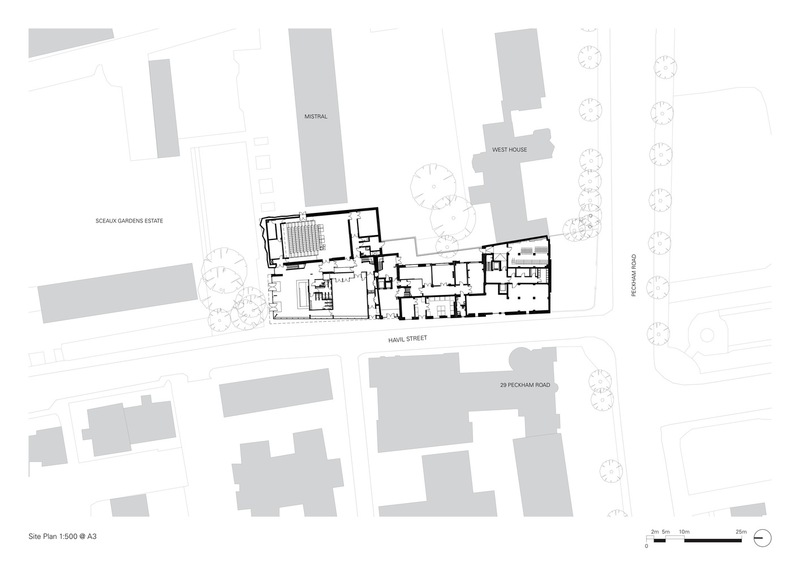 The original Theater Peckham was situated within the community hall adjoining the former Southwark Town Hall building. 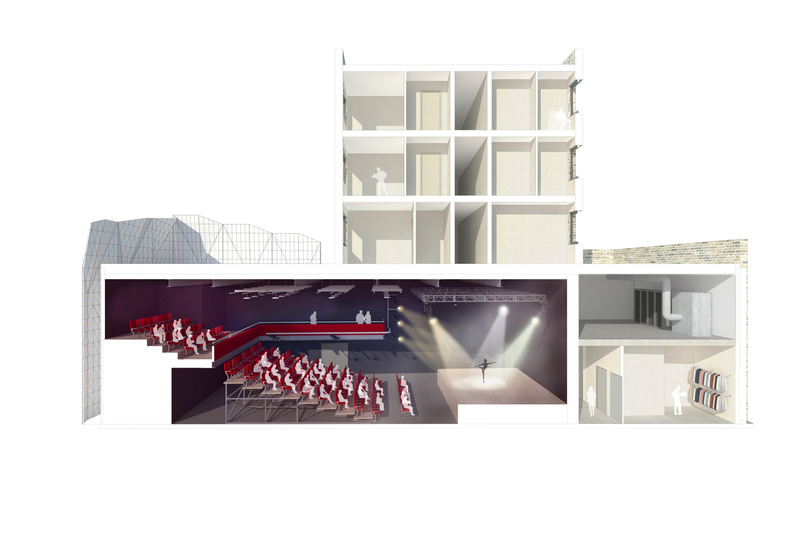 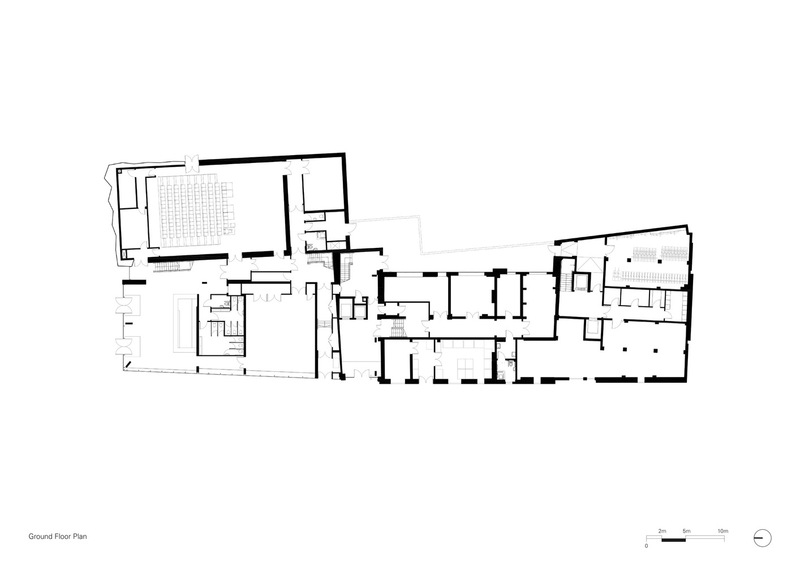 The scheme features a new studio theater complex comprising a 200- seat auditorium, rehearsal space and dance studios which can be accessed from the new public piazza.A glazed foyer and breakout area accessible from a new public square at the rear of the building are intended to enhance the relationship between the theater and the community. 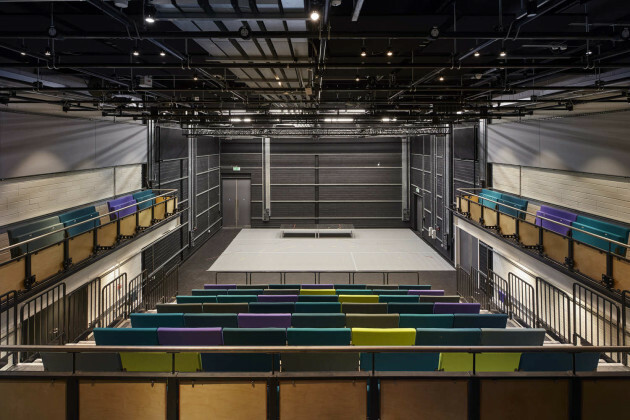 The new facilities allow Theater Peckham to bring all of its work together under one roof for the first time, and provides space for an array of new classes, performances and events within the local community, in addition to its existing program of workshops offering affordable performing arts classes to three to 18-year-olds.